Hey guys these have popped up on the net, Stephen appears to be tender drive and Connor has a proper coach and a HUGE face! 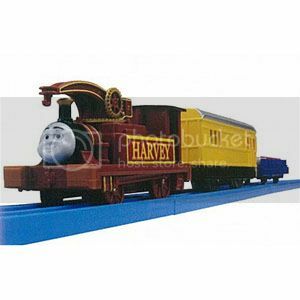 Harvey looks unchanged except for animated face and different colored powered works coach. They were funny coaches, in reality, just being a goods truck with a sticky label over it. The 2014 releases are a far better model. 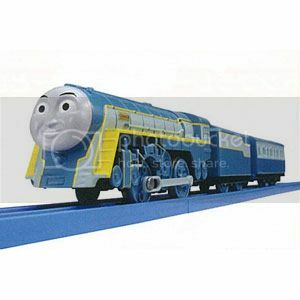 The product pages for the Thomas Go Out Solid Rail Map and the Let's Create Thomas Rail Visual Scene Set. It shows that you can put the two items together but the layout looks like a waste of what the Visual Scene Set can do with its 18 possible layouts, and a track section is wasted on the Rail Map. The Thomas Pounding Mountain Set is an updated Thomas at Roller Coaster Mountain Set. The mountain has a new look with the top section replaced by a sticker and the edges of the tunnels have some new decals. The trucks have been changed to a red log car, and there's a stop track piece in the layout. And here's a close up of the 2014 James. I actually don't mind it as much as I thought I would. Nice jdogman! You are always ontop of these things! Great job! From Thomas To Today's Modern Diesels, They're All A Part Of My Rail-Yard! I already have mine reserved I have a feeling it will sell out fast, I have posted this before no one seemed to care. it will be a limited release! 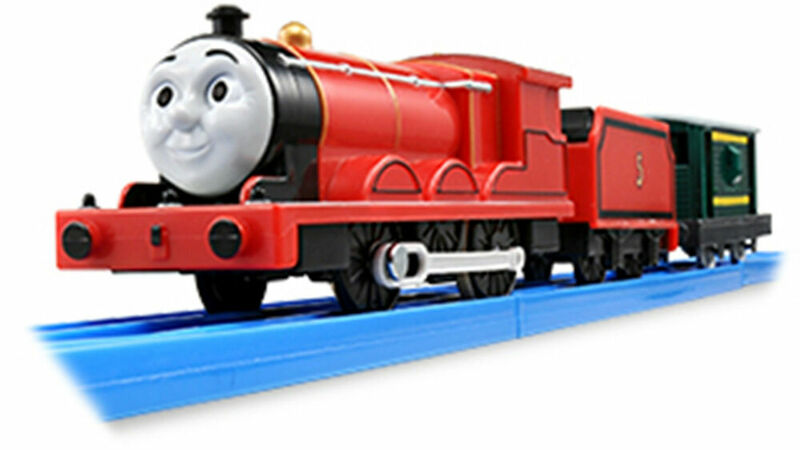 thanks for the picture of the actual Plarail toy it looks as awesome as i imagined it would be, glad I have mine reserved! those are good pics. geris, i remember you posted it before, and to me it looked like a run of the mill thomas. these pics show its different. i think ive registered with the site and will likely get one. Wow, I am not into the Thomas line but wow...that is the most detailed one I have ever seen and 2 real express coaches too, very nice. Hmmm...Maybe a deface, a little paint...hmmm Thanks for posting this. 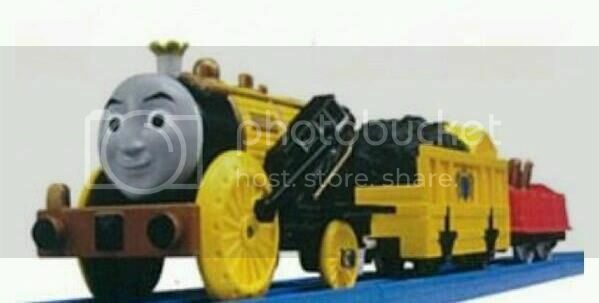 I do not collect the Thomas the Tank line either but seeing as this is a Plarail toy of real life train you can ride and will be running on the Oigawa Tetsumichi railways which is the same service that runs all the SL versions of old Japanese Steam Engines as attractions to the public this train will be a must have especially as I plan to make a layout replica of the Oigawa Tetsumichi lines featuring the SL steam trains for my Tomy Town layout! bother. it was open yesterday. i registered and then havent been able to log in. keeps saying the username and password are wrong? o well, will have to keep an eye out elsewhere. The resellers on ebay would have snapped up dozens or even hundreds to resell.